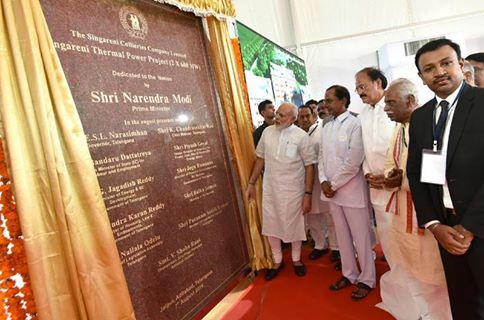 Singareni Thermal Power Project (2x600MW) is dedicated to the nation by Hon’ble Prime Minister of India, Shri Narendra Modi on 07.08.2016, presence of Hon’ble Chief Minister of Telangana State Shri K Chandrashekar Rao, Hon’ble Union Minister of Urban Development, Housing & Urban Poverty Alleviation and Information & Broadcasting Shri M Venkaiah Naidu, Hon'ble Union Minister of State for Labour & Employment (Independent Charge) Shri Bandaru Dattatreya, Shri N Sridhar, IAS, C&MD SCCL and other diginiteries. Boiler drum lifting of Unit-1 was done on 12.09.2013 and Unit-2 on 14.12.2013. 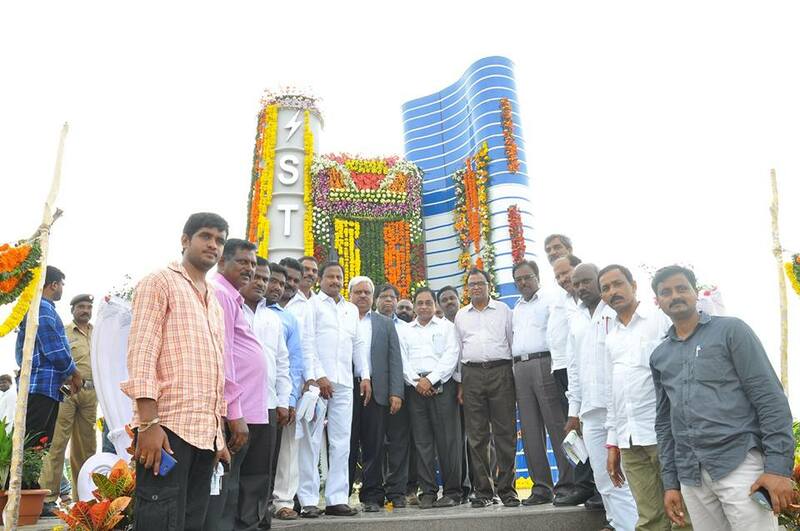 Boiler Hydro test of Unit-1 completed on 27.08.2014 and Unit-2 on 03.11.2014. Boiler Light up of Unit-1 was done on 04.07.2015 and Unit-2 on 06.08.2015. Synchronization of Unit-1 was done on 13.03.2016 and Unit-2 on 01.06.2016. Power generation started from Unit-1 on 01.06.2016. Till now around 150 Million Units have been generated. Unit-2 Power generation started from 27.07.2016.